If you hang out with us here on CleanTechnica, you know that we care about a lot more than cleachtech. Sustainable living and green home goods is a field that I consider myself pretty well versed in, and it’s a perspective I like to bring to our tech-focused site because I feel that if you care about solar, wind, and EVs, you also need to look at all the other ways you can have a pretty big impact on the planet. Case in point: your bedroom. No, not what you DO in your bedroom (! ), but the furniture that’s contained within your four walls of sleep sanctuary. I’ve long considered myself a pretty conscious consumer, and yet had never looked too closely at what was in my bed until I moved into a new house and started mattress shopping. Sure, I have chosen organic sheets and bedding in the past, but the mattress itself was either something I just owned from years ago or acquired from friends. But the more I started to dig into what’s really in mattresses, the more it became a big concern for me. 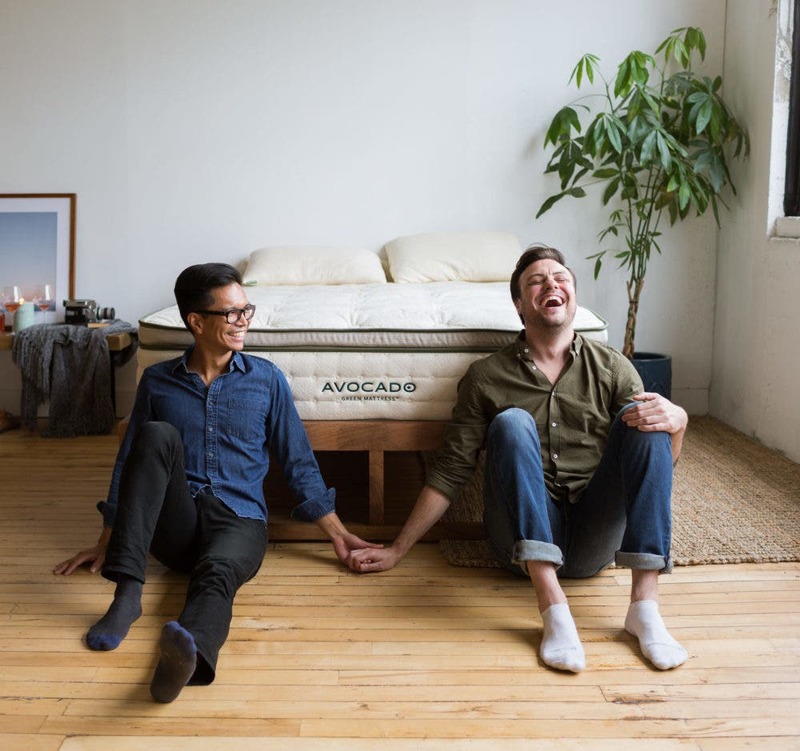 I was really lucky to connect (and eventually partner) with Avocado Green Mattress*, and I’m so happy to share this company with our readers. But, first, what’s the problem with conventional mattresses? According to some sources, about 1.7 million mattresses end up in landfills everyday. And unless you live in California, Connecticut, or Rhode Island (which have mattress recycling programs), you’re likely going to toss the old mattress into the dump. This is a shame, since 80% of mattress components can be recycled. Where I have lived (Hawaii and California), shelters and thrift stores won’t take used mattresses. That seems like a lot of waste, right? But here’s the bigger problem with traditional mattresses: they are really toxic. Mattresses are usually made of polyurethane foam (memory foam is the same), which is petrochemical-based and gives off volatile organic compounds (VOCs) in the place where you sleep. Other scary stuff that’s found in regular mattresses include formaldehyde and fire retardants. Fire retardants are used to make sure the bed can survive a fire, and not surprisingly, these are often quite toxic substances that might cause an allergic or sensitivity reaction in people. So even if you do recycle your bed, these types of substances persist in the environment because of their chemical footprint or by being reused. So why not engineer a better mattress, with no chemicals, that’s still recyclable? Well, Avocado Green Mattress did just that. What Makes Avocado Green Mattress so great? So, first thing: yes, Avocado sent me a mattress to review, but yes, this company is actually truly awesome. They have made a really serious sustainability commitment with their products, sourcing, and packaging, and they use fair-wage labor for their mattresses and pillows made in California. This is the company I wanted to buy from when I was mattress shopping, and it’s just made all the better since now I get to actually partner with them for our sites and readers. The natural “ingredients” for an Avocado Green Mattress are 100% natural sustainably harvested latex, GOTS-certified organic cotton, and New Zealand wool. In fact, the bed is actually biodegradable because of these natural ingredients. I don’t think my backyard compost pile could break it down, but municipal composting facilities should welcome these materials. There are metal coils that will not compost (of course! ), but these are made from upcycled steel, which can be recycled. Their pillows are also made of similarly awesome components. The pillows contain organic cotton and sustainable latex, along with kapok — which I affectionately call “tree wool.” Kapok is a giant tropical tree that produces pods of fluffy wool that I’ve enjoyed in my pillows for years. Avocado combines them with latex for a seriously firm and delightfully comfy pillow: read my full review here. Consumer Reports suggests that you should replace your bed after about 10 years, but maybe sooner if it feels lumpy or if you wake up uncomfortable. But that means every decade or so you’re buying a huge heap of chemicals that will eventually end up in a landfill. This seems like planned obsolescence of the mattress industries, if you ask me. Latex mattresses last twice as long as regular polyurethane mattresses (which helps reduce overall household waste), and Avocado Green Mattresses have a 25 year warranty. They explain that their beds last longer because of the latex, which is one of the most durable mattress materials available, along with a strong innerspring unit. So, assuming I have this bed for another 24¾ years, I will only need one more before I die of old age. I guess that’s a comforting thought … ? 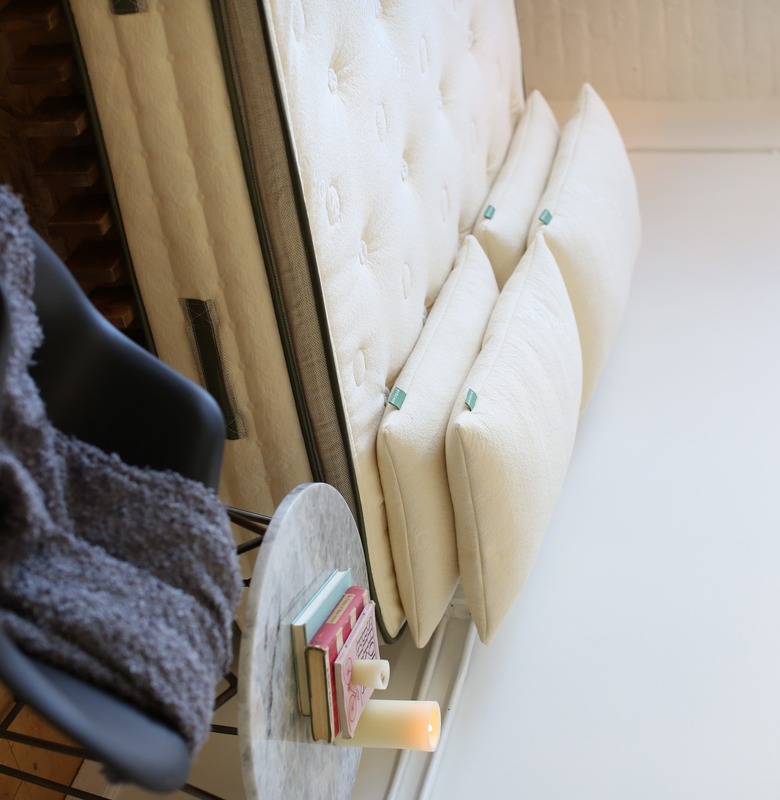 Each mattress is made fresh so that the company can avoid storage and stocking fees (and the associated financial and carbon impact that comes with it), and also to ensure better production flow and less materials waste. When my mattress arrived, it was minimally packaged by design: it was wrapped in two layers of sheet plastic and packed into a large cardboard box. The cardboard is of course recyclable, but even better, my housemate is an artist and will be able to reuse both the plastic sheeting and the box for projects. Some regions will likely recycle the sheeting, too. Not only are they committed to a greener mattress, Avocado is committed to a greener lifestyle all around. They use their company platform to share a ton of awesome lifestyle tips on their green living magazine, by creating local and global partnerships for their components, and they participate in 1% For the Planet, too—which means they donate 1% of all revenues to environmentally minded nonprofits. 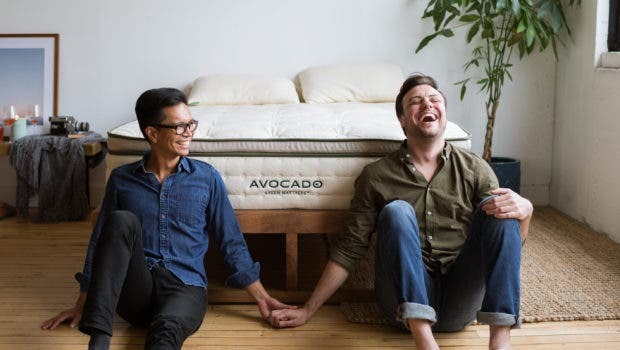 So, yes, I’m pretty happy with my new partners at Avocado Green Mattress. I really enjoy learning more about companies that are doing business right, and I think these folks are such a good example of the types of companies I want to support, and share with our readers. CleanTechnica readers can get a discount using a special code: click here to get shopping! *Disclosure: Avocado Green Mattress sent me a mattress for review, but this is the item I wanted to purchase anyway. Of course, all opinions are my own.